We spotted this sight in Kutch and fell in love with instantly. The beautiful natural light added to the effect. This picture has been shot using my Nikon point and shoot camera. It has some basic editing like increasing brightness and a bit of contrast, for aesthetics sake. Very cool! They are very gorgeous! Found you via NaBloPomo Blogher! Thank you so much Jamie. #NaBloPoMo is exciting,but draining at times. I guess that is where the challenge part lies. I loved your blog 🙂 It has a very honest ring to it. Keep up the good work. Yeah!! But it was a pretty sight. Lovely picture! Rural scenes never fail to impress anyone. A real keeper this one. Where was it taken? 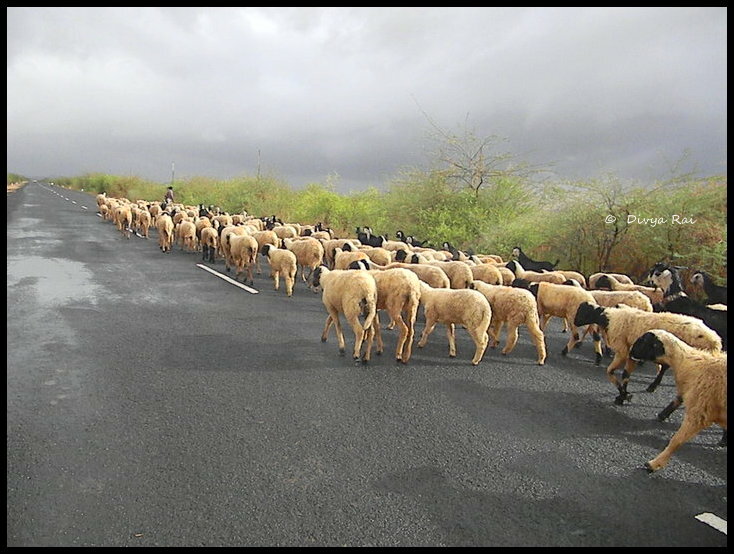 This was on my way from Bhujodi to Gandhidham in Kutch, Gujrat (India).